It seems that most of us cannot do without having strong coffee throughout the day. For some it is the fuel that gets us through the day and even the night. 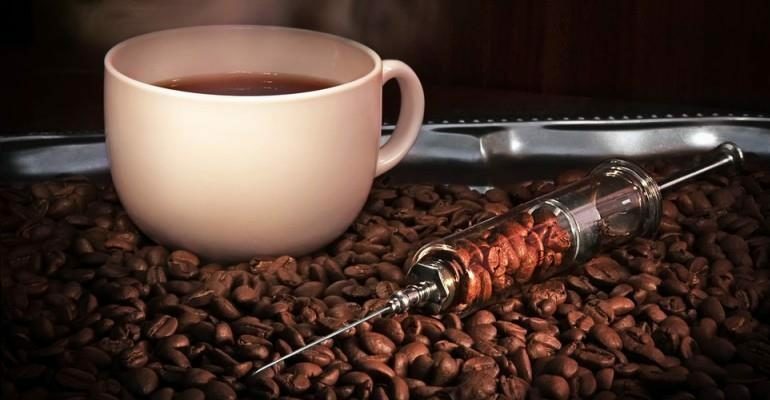 But do remember that Coffee is a drug and being addictive, it can cause great harm to the body if taken in excessive quantities. I get asked this question often, ‘To Coffee or Not to Coffee’ especially when I start my clients off on a detox. My answers usually are ‘You can may’ and also, ‘Please do not. It is bad.’. Let us try and understand the effects that coffee can have on your body. The contents of regular and decaff coffee can reduce the quality of the cleansing process and damage our bodies. Coffee contains acid-based oils that irritates the stomach lining and increases gastric acidity which in turn sets off secretion of adrenaline by your body. Adrenaline in turn stimulates the secretion of insulin and results in low blood sugar levels (hypoglycemia). What results is then tension, a slight rise in BP, a strong craving for sweets, low energy levels after a few hours and depression. When the levels of blood sugar drops, your body then increases the production of epinephrine which counteracts the medications that are usually prescribed for those who are suffering from pain, obesity, hypertension or depression. Those who drink 5 or more cups of coffee per day over time have a B1 Thiamine vitamin deficiency. Symptoms of the B1 deficiency range from fatigue, anxiety and aches and pains such as headaches etc. Regular consumption of coffee also prevents nutrients from the foods that you eat from being correctly absorbed in your small intestines which goes on to create more vitamin and mineral deficiencies. Coffee growers in Colombia and even India often use harmful pesticides when growing the beans. Most commonly used pesticides are aldrin, dieldrin, chlordane and heptachlor. Scientists in the US believe that most of the toxins in the diets of a coffee drinker comes from the coffee beans. Those who have lots of coffee over a long period of time are taxing their livers and increasing the toxins in their body which eventually leads to disease and illness. The main function of the liver is to filter blood so that the cells in our body can be cleaned and nourished. When the liver works overtime trying to detoxify the chemical residues that are present in coffee and all those other foods that we consume, the liver becomes congested. A congested liver will not filter blood properly and thus impure blood ends up circulating throughout the body which hampers the abilities of the cells to regenerate and to grow healthy tissue. The above points also hold true for heavy drinkers of tea and decaff coffee. Tea also contains large amounts of caffeine as well as trace pesticides. Decaff coffee on the other hand contains high concentrations of trichloroethylene which is a chemical that’s also used as a degreasing agent in the metal industry and a solvent and a dry-cleaning agent in the clothing industry. Trichloroethylene is also related to vinyl chloride which is a chemical present in plastic and which has been linked to certain types of liver cancer. If you cannot imagine getting through the day without loading up on large cups of coffee then there are some things that you could try to wean you slowly off it. Try herbal drinks and mix it with chicory if you really like the flavour of coffee without giving you the negative side-effects. Another good option to try is yerba-mate which will instantly perk you up for the day. Yerba-mate has effective stimulants but does not have the negative health effects of coffee. The best option for coffee drinkers to switch to is Herbal tea. If the concentration of herbal teas are too weak for you, try dipping in two or three teabags into a single cup of hot water and let them steep for a longer duration of time. In my next article I will touch upon detoxification and a full body cleanse for a younger, healthier and ageless you! 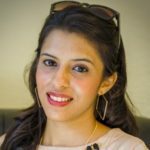 Krupa is a dietician and nutritionist based in Mumbai and consults at our Andheri West Centre for our clients in Diabetes and Obesity Management, Detoxification therapy and specializes in creating bespoke Nutrition plans for kids, teenagers and adults by integrating correct food habits around one’s lifestyle. Read more about Krupa here – http://www.krupaparekh.in/. You can call on 98206 07875 for a weight loss and diet consultation with Krupa.